Nachman Gabbai arrested on suspicion he intentionally ran over Arab gas station attendant. Gabbai: I feared for my life. 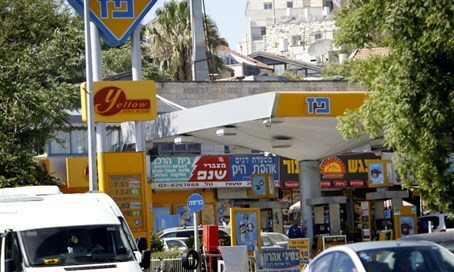 Nachman Gabbai, a resident of Jerusalem, was arrested on Thursday over suspicions he attacked an Arab gas station attendant at a Paz gas station in the capital, Walla! News reported. Gabbi, who is in his twenties, allegedly drove over the attendant intentionally following a heated argument between the two. The Arab gas station attendant was evacuated to a hospital, where his injuries were classified as light to moderate. Moriah station police in Jerusalem arrested Gabbai after viewing security camera footage of the alleged incident. A judge extended his arrest to five days. A police representative mentioned in court that Gabbai initially claimed the gas attendant had behaved suspiciously. Given the present security situation, he claimed he feared for his life and simply tried to flee, accidently hitting the attendant in the process. After being showed the security camera videos, however, Gabbai retracted his story.